When Tess, an ambitious psychiatrist, releases Paula, a schizophrenic patient, she is making a finely balanced assessment, and gets it horribly wrong. Caught in a downwards spiral and tormented by voices, Paula stabs Alysson outside a shopping centre, in an apparently random killing. A revelatory novel of love, murder and new beginnings. When Tess, an ambitious psychiatrist, releases Paula, a schizophrenic patient, she is making a finely balanced assessment, and gets it horribly wrong. Caught in a downwards spiral and tormented by voices, Paula stabs Alysson outside a shopping centre, in an apparently random killing. The resulting shock waves shatter Tess's comfortable existence, suddenly casting her passionless permanent relationship, her bond with her brother, her friendships and even her view of herself and her past in a new light. What previously seemed desirable starts to appear complacent and dull in the aftermath of the death. Driven by a guilty need to explain, Tess does the last thing she should and visits Ben, Alysson's bereaved partner The two feel an irresistible sexual attraction, and start a dangerous, clandestine, love affair, which is as much defined by an unmentionable shared pain as by its intense physicality and eroticism. The two are perpetually haunted by the lingering presence of the glamorous Alysson, as it gradually becomes apparent that by a sinister coincidence Alysson was killed for her resemblance to Tess, and that Tess has taken her place. Can Tess hold together her career and her relationship under the pressure of the affair with Ben? Is Ben all that he seems? 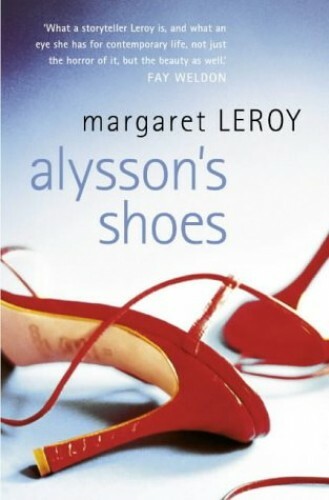 Does Tess have the strength to rebuild her life as she desires, or will she allow herself to be dictated to by events?